Nineteen fully documented and researched roots and branches so far, with 16 associated but unresearched families beyond, and 39 sept surnames are as yet unknown or unresearched. There’s more to come. Stay tuned! This is your chance to help. What research is this? I am descended from Isaac and Martha Ayers Pierce. Would love to know more details. I’m a novice but very enthusiastic genealogist! As you know, there are several ways in which to spell our last name. Your “Pierce” spelling are most likely New England families, such as former first lady Barbara Pierce Bush and President Franklin Pierce. Where did your American family originate? The only Isaac Pearce in our family was born in Harmony, PA, and was a chaplin in the Civil War. I don’t know his wife’s name just now. As for finding out more about your family, the internet and Ancestry.com are good places to start. Please let me know if we’re related. Hello, I randomly stumbled across your site by Google search, while researching my Pearce family line. I have to say; What a lucky find! I’m uncertain if your Pearce’s are my Pearce’s also though. I have researched as far back as my 6th great grandfather, Cromwell Pearce. He was born in 1732 in Enniskillen, Ireland and died in 1794 in Chester County Pennsylvania. Is he in your family also, are we possibly cousins?! I’m not sure if you are still active with this website, but I figured it wouldn’t hurt to comment, in hopes that you might get this. Even if it turns out that our Pearce lines are different, what a gift you’ve given to your Pearce line by generously sharing your incredible research. I hope to hear back from you. My, but you’re complimentary! Thank you. The Pearce family was/is spread all over the British Isles. Enniskillen is near the border with Northern Ireland so our English name could have been spelled that way. But many Irish land holders were spelled “Pearse” or “Pierce.” In fact, my wife and I had the honor of touring the home of Patrick Pearse, an Irish Republican of the South,” who was executed for his part in the Easter Uprising of 1916: https://en.wikipedia.org/wiki/Patrick_Pearse . My Wiltshire County Pearces had emigrated to Pittsburgh in 1820. I settled just 90 miles east of my Great-great grandfather Richard. You and I may be cousins, but we’d have to search a long way back for the ties. Please let me know if you find anything new, and thanks again for your wonderful compliment. Hope you get over to the Isles one of these days. Thank you for replying back. I did read somewhere that at some point in time, my Pearce family line had immigrated from England, before some settled in Ireland. Some of that family then immigrated to Pennsylvania, and a couple hundred years later, I showed up! I really wish that I could remember where I read that, and of course I’m not even sure if that’s accurate information to begin with. I definitely plan on much more research on the Pearce line. Admittedly, I feel pretty lost when crossing the Ocean and working with records from Ireland and other countries. But if I make any exciting breakthroughs, I will let you know. The Pearce name is hands down one of my favorite names in my family tree. I knew nothing about it until a couple of years ago when I finally dug in on Ancestry. My 2nd great grandma was Mary Pearce, married a Mellen. I’d known of the Mellen last name for many years, but nothing of Pearce until then. I have a couple of photos on Ancestry shared by family of Mary Pearce Mellen. 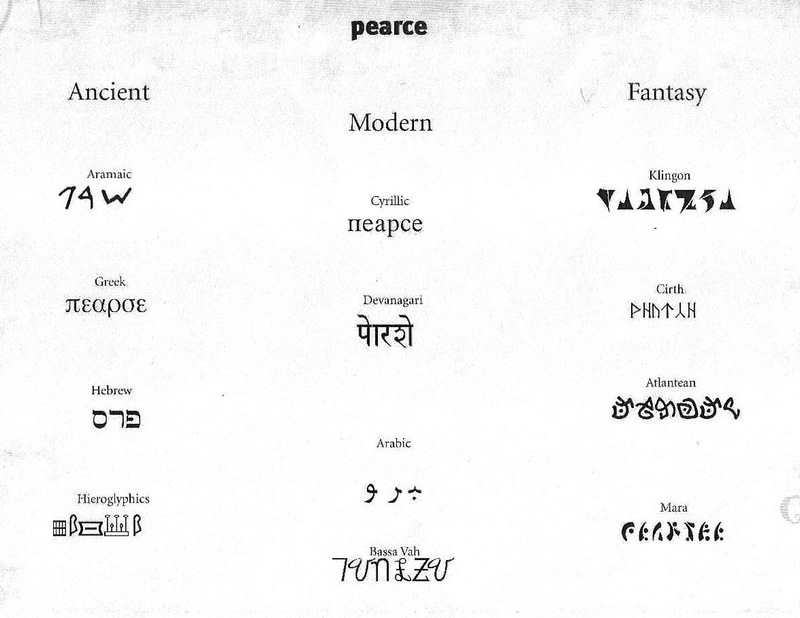 The one in particular, is what I think really drew my interest to the Pearce name. There is a photo of a very adorable great great grandma Pearce, aged probably upper 70’s to early 80 years old being pulled on a wooden sledge by her grown children. The look on her face is priceless, as you can feel her happiness by simply looking at the photo. It was her and that amazing photo that made me really want to know more about the Pearce’s. That’s incredible that you and your wife were able to tour the home of Patrick Pearse. I actually read that article that you linked earlier, shortly I before posted my reply earlier. I really felt for the man, for having died so tragically. I do hope to one day visit Ireland. Sounds silly to say, but right now I still need to check off on my list a visit to Chester County and Philadelphia area, PA. I have so much family history tied to those areas, as it was a common area of ancestors settling after coming from Ireland. I’ve live in PA for almost my entire life, but never been to the other side! Always lived in Crawford and Mercer counties. And it’s funny that you mention Pittsburgh, because I was just there yesterday at my nephew’s birthday party. No need to thank me for the praise, as I feel that you earned it. Ancestry and similar sites charge an arm and a leg, and so I think it’s incredibly kind of you to share your research with others like you have. Thank you again for taking the time to respond, and no rush on replying to this on.. pretty sure I just wrote a book!